Electronic Entertainment Expo (better known as E3) is almost here, bringing along surprising announcements and a plethora of great games. 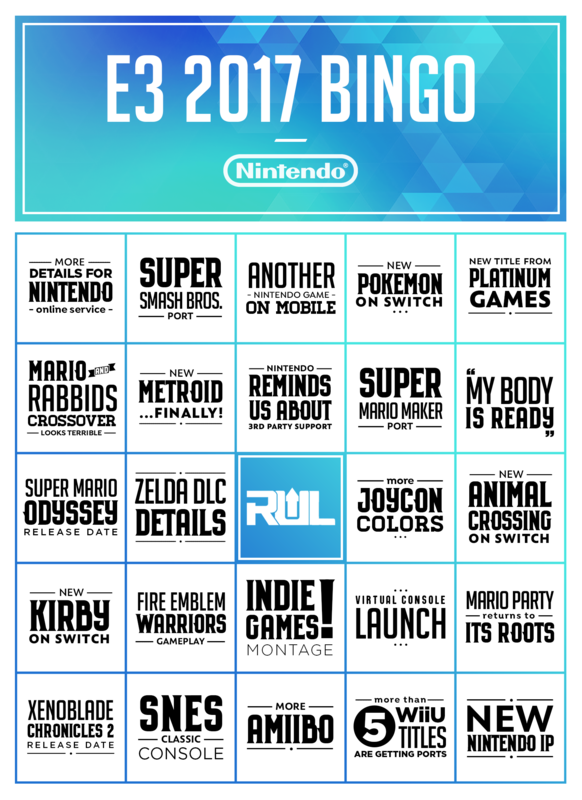 Everyone has their own hopes and predictions for the conferences, so once again, we’ve put some of our predictions into bingo cards that you can play some E3 2017 Bingo along with the event. 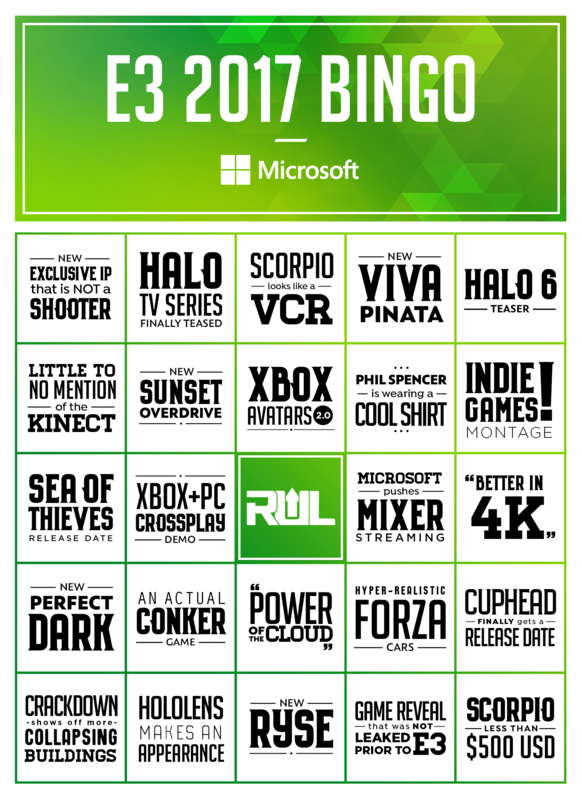 Besides the powerful Project Scorpio, what other games can we look forward to this year? With the recently released Nintendo Switch, will we see new IPs or even a Metroid sequel for it? And with Sony and their PSVR, will we finally see something amazing for virtual reality gaming? 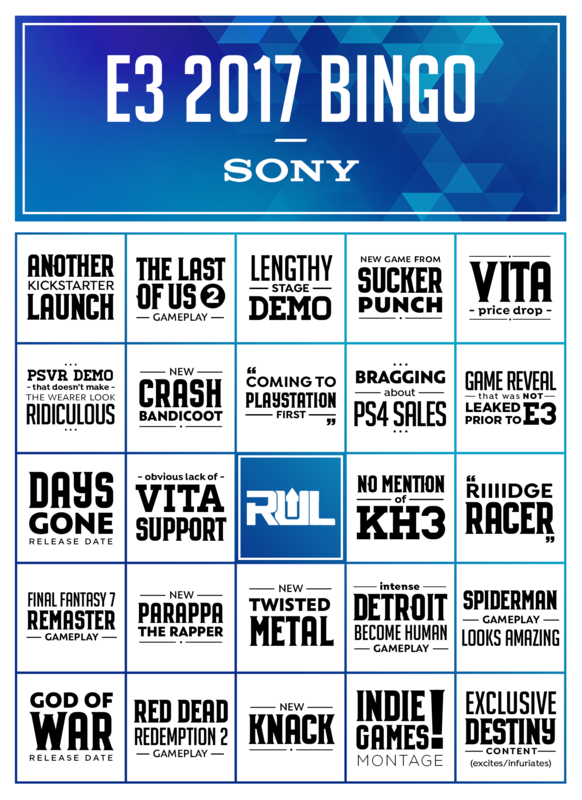 So print out your cards, grab some snacks and play some E3 2017 bingo along with us, as we watch the wins and fails of this year’s event!